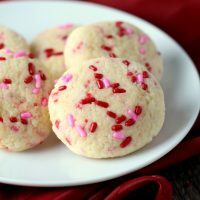 After a bit of digging, I found a cake mix from several Valentine’s days ago and pulled out the recipe for classic cake mix cookies. (I know, I rarely ever bake with mixes, thankfully they have a long shelf life.) A few eggs and a bit of oil was all we needed to add to have warm cookies today. 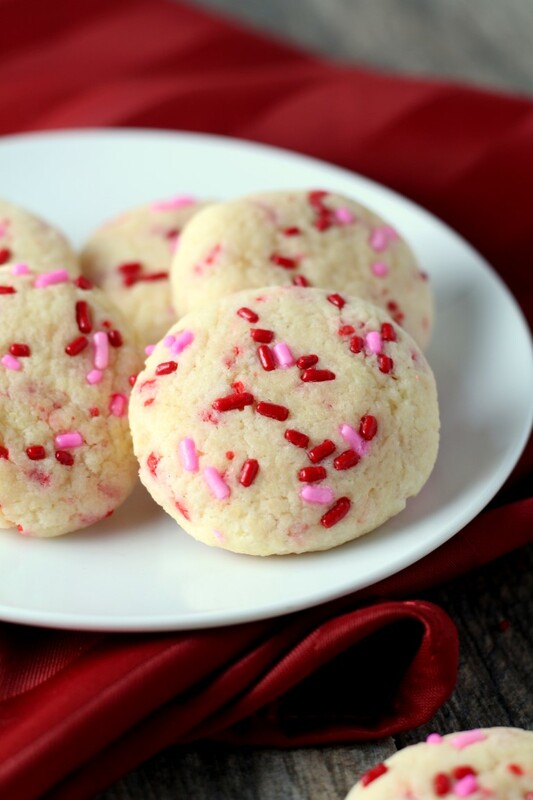 These cake batter confetti cookies are made with 3 ingredients and are soft and moist. Preheat oven to 350 F. Mix together the cake mix oil and eggs until well combined. Roll the dough into 1-inch balls and roll in additional sprinkles if desired. 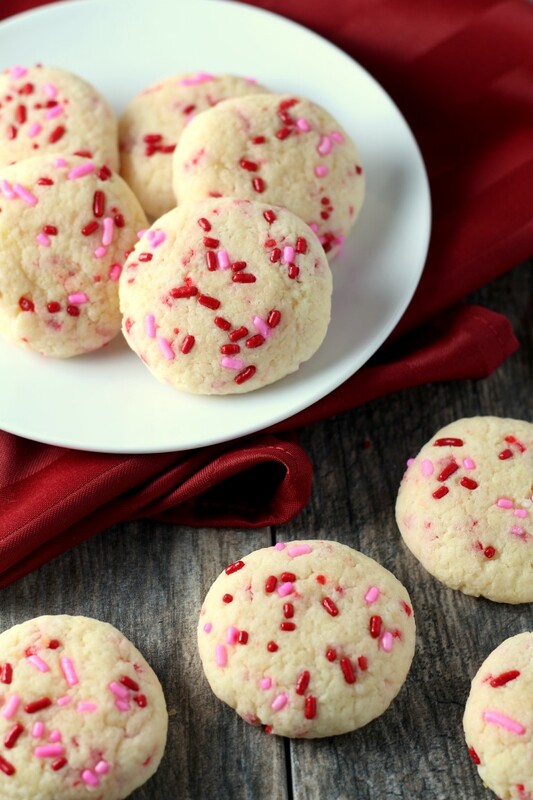 These chocolate chip cake mix cookies from Moments with Mandi look fun to try too! Or if you’re up for a bigger project, try my soft Sour Cream Cut Out Cookies.